The Hollow Crown returns to BBC Two with a second series, The Wars of the Roses that include adaptations of three more historic plays by Shakespeare – Henry VI Part 1 & 2 and Richard III. The series is part of the BBC’s Shakespeare Season commemorating the 400th anniversary of Shakespeare’s death. 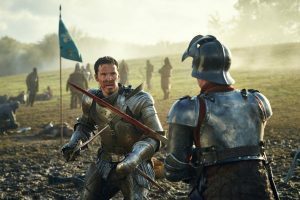 Benedict Cumberbatch (Sherlock Holmes, The Imitation Game) stars as Richard III and Tom Sturridge (The Boat That Rocked, Far from the Madding Crowd) plays Henry VI. The supporting cast includes a wealth of talented actors, including Judi Dench (Philomena, Skyfall), Jeremy Irons (Eragon, The Lion King), Keeley Hawes (Doctor Who, Upstairs Downstairs), Sophie Okonedo (Doctor Who, Criminal Justice), John Mackay (Doc Martin, Casualty), Stanley Townsend (Cars, Ripper Street) and Ben Daniels (Locke, Madaline). The first series aired in 2012 and featured Richard II, Henry IV, Part I and 2 and Henry V. The latter of which was also partly filmed in Kent; at Penshurst Place and Squerryes Court. The second series of The Hollow Crown filmed in Kent where Leeds Castle‘s Barbican and moat to depict scenes at the Tower of London, Penshurst Place doubled as the exterior of the Palace of Westminster’s Great Gates and Dover Castle features as The Tower of London as well as Anjou’s Palaceand Joan’s Chambers in Rouen in Part 1 and a French Prison and St Alban’s Chapel and Market Place in Part 2. Rich in history, Leeds Castle is set in 500 acres of beautiful parkland and formal gardens. The castle has opened its doors to a number of film productions over the years including Gadget Man (2014), Henry VIII (2003) and Lady Jane (1987). Dover Castle is one of the most iconic of all the English fortresses, guarding the gateway to the realm for nine centuries. With its beautiful medieval interior, secret wartime tunnels and set overlooking the English Channel, Dover Castle is a popular film location having previously welcomed productions such as Avengers: Age of Ultron (2015), Into the Woods (2015) and To Kill a King (2003). Penshurst Place is a 14th Century Manor House with preserved interiors, including the unique medieval Baron’s Hall as well as 11 acres of Elizabethan walled gardens. Wolf Hall (2015), Merlin (2008) and The Other Boleyn Girl (2008) have previously filmed at Penshurst Place. The Hollow Crown: The Wars of the Roses also features in the Kent Film Office Tudor(ish) Trail which celebrates Kent’s Tudor history and film connections. Henry VI part 1 will air on Saturday 7th May 2016 on BBC Two at 21:00. Henry VI part 2 will air on Saturday 14th May 2016 on BBC Two at 21:00. 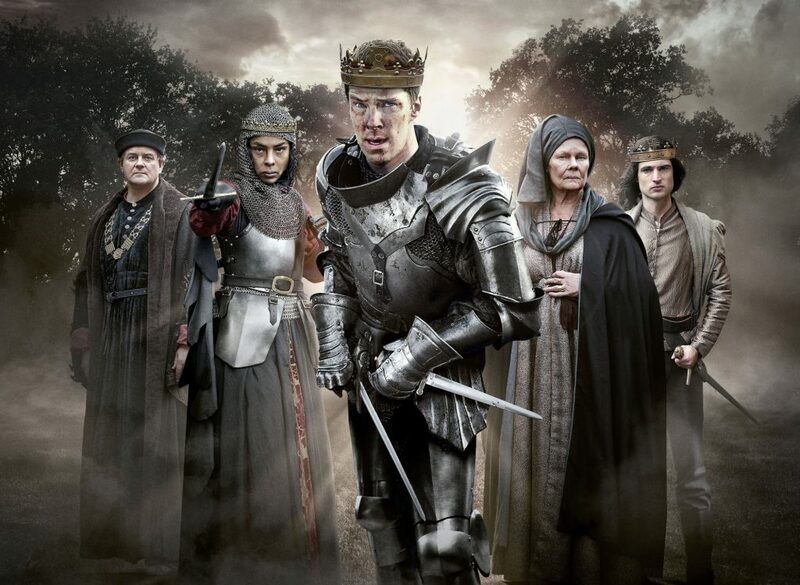 Richard III will air on Saturday 14th May 2016 on BBC Two at 21:00. This entry was posted in Filmed in Kent and tagged Benedict Cumberbatch Kent, Dover Castle, Leeds Castle, Penshurst Place, The Hollow Crown film locations, TV Drama. Bookmark the permalink.